International Dishes There are 16 products to choose from. Chicken with butter, coconut, alomond, cream & Masala Takeaway Lanzarote Sauce. Famous Dishes - Tradicional IndianIndian Restaurant Costa Teguise Restaurant - Indian TakeawayTakeaway Food Costa Teguise, Lanzarote.Food Delivery Service - Lanzarote. Carrots, green peas, cauliflor, potato, tomato, onions, capsicum, etc. Famous Dishes - Tradicional IndianIndian Restaurant Costa Teguise Restaurant - Indian TakeawayTakeaway Food Costa Teguise, Lanzarote.Food Delivery Service - Lanzarote. Boneless Chicken breast pieces. 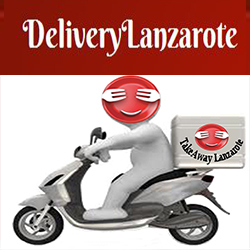 Famous Dishes - Tradicional IndianIndian Restaurant Costa Teguise Restaurant - Indian TakeawayTakeaway Food Costa Teguise, Lanzarote.Food Delivery Service - Lanzarote. Duck Breast Pieces. Famous Dishes - Tradicional IndianIndian Restaurant Costa Teguise Restaurant - Indian TakeawayTakeaway Food Costa Teguise, Lanzarote.Food Delivery Service - Lanzarote.TakeawaySpain Group - Canarias, Las Palmas, Lanzarote, Costa Teguise.